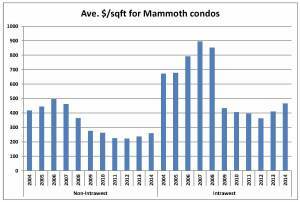 After falling 65.9% from the peak of our market in 2007 and bottoming out in 2012, the average $/sqft of condominiums and townhomes in Mammoth Lakes has risen 18.1% and currently sits at $295.2/sqft for all sales in 2014 (through November 16, 2014). See the graph below. If we separate Intrawest and non-Intrawest condos (for the reason that Intrawest built a distinct class of real estate that are newer and located adjacent to the ski area and golf course, and they typically sell at a higher $/sqft), Intrawest properties dropped from $895/sqft in 2007 (many Westin condos were over $1000/sqft) to $362/sqft in 2012 (a 59.5% drop!) and are now up to $466/sqft, a healthy increase of 28.7% from the bottom. Intrawest properties include The Westin Monache resort, The Village at Mammoth, Juniper Springs Resort and a few complexes along the Sierra Star Golf Course. 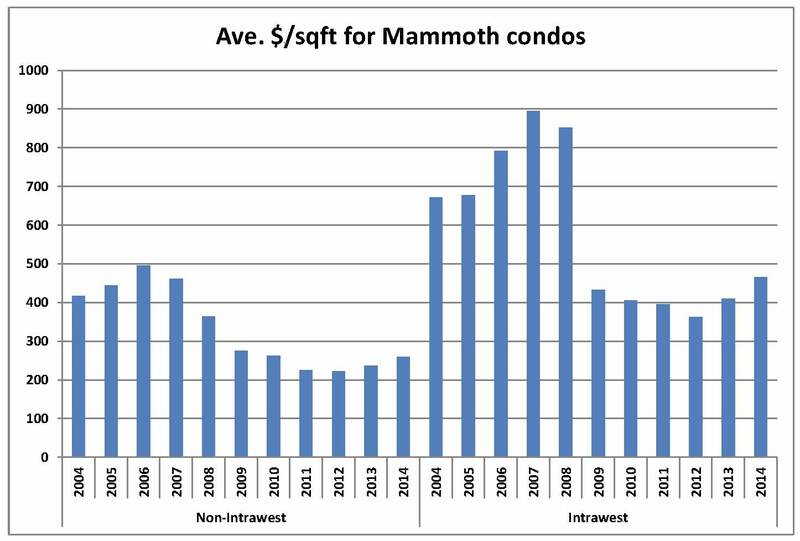 Non-Intrawest condos peaked at $496.1/sqft in 2006 and valleyed at $222.4/sqft in 2012. They are now at $259/sqft in 2014, an appreciation rate of 16.4% since the bottom. If you are noticing that our peaks and valleys occur later than those in Southern California, you are probably right; it is felt that the Mammoth area market tends to lag behind SoCal by half a year to a year. In addition, you are probably noting that our prices have a long way to go before reaching the bubble levels of 8-9 years ago. We hear from our clients and follow Realtors in hot market areas like Santa Monica, Manhattan Beach, Santa Barbara, etc., that prices are now at or above the levels seen during the bubble. Wow. Makes the Mammoth market look like a bargain! Our current market could be classified as healthy. Inventory is historically low, foreclosures and short sale are rare, and many buyers are coming in with all cash or over 20% for their down payments. 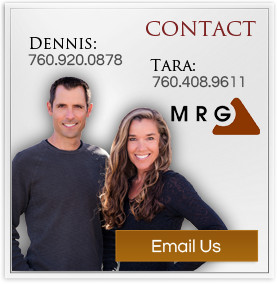 This entry was posted in Real Estate Blog on December 1, 2014 by Dennis Cox.